Coventry Gatecrasher Outside presents DJ legends Judge Jules, Tall Paul, Seb Fontaine, Scott Bond and JFK as GATECRASHER Classical returns to The Midlands. On 18th August Coventry’s Cathedral ruins will come alive as these masters of the Dance and Trance music scene perform in what will be a show like no other. 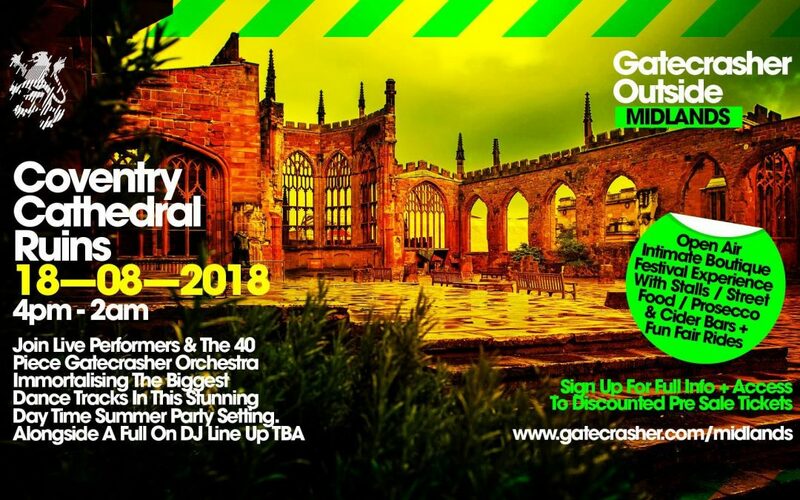 PEOPLE_GET READY as Gatecrasher Classical creates an intimate open air, boutique festival, with a 40 piece orchestra and this legendary DJ lineup, which all kicks off from 4pm. Clubs ruled the world and where clubbers can relive their favourite tunes in this unique environment. Judge Jules – Gatecrasher resident in Sheffield – is a Master, Innovator, Creator, and Leader – One DJ that has BEEN THERE, DONE THAT AND DONE IT ALL OVER AGAIN. With an award winning career that has successfully spanned 3 decades, filled with accolades and praise from his peers, its very easy to see why this JUDGE WON’T BUDGE. His famous Ibiza brand Judgement Fridays (formerly Judgement Sundays) continues to pack out their Balearic home week in, week out, totting up 15 years of events on the island. With each season the Judgement spell is cast over a new generation of reveller and secures its place in Ibiza legend. Phases come and go, genres are born and laid to rest, but one thing is for certain… Judge Jules is here to stay. Tall Paul, is one of the stalwarts of the UK Trance, House and alternative music scene, rocking dance floors across the globe for nearly 30 years. He started DJ’ing as a teenager, spinning vinyl for private parties at his family’s venue, the legendary club, Turnmills. The global resurgence in popularity of house music now sees him picking up the headphones once more and heading out to play for a different, younger audience, who are still as hungry as ever. His depth and breadth of musical knowledge and incessant thirst to find great music keeps things fresh. No matter where, what or when, you know that once Tall Paul steps up to the decks, he will light up the dance floor. And there’s more as Cream resident SEB FONTAINE steps up. A true pioneer of the Radio One dance music movement, Seb Fontaine has Fronted high-profile gigs in all four corners of the globe and is one of the most recognised DJs on the international club scene. Through his high-profile and long-standing residencies, radio shows and compilation CDs, Seb has been at the forefront of the industry for many years and continues to showcase his electronic house grooves at high-profile gigs around the world. Gatecrasher resident and curator for Gatecrasher Classical Scott Bond will be also making an appearance. Scott has written his own material as an artist under the pseudonym of Q:Dos with a string of remixes to his credit including Shimmon & Wolfson’s Top 40 hit “Sundance” for React and Karmasutra’s “Storm In My Soul” , and many more. Last but by no means least in this talented lineup is JFK resident at Passion at The Emporium Coleville. It’s good to be wanted but when your name is JFK you’re always top of peoples hit list and in the last 15 years JFK has risen to the top of just about everyone’s. JFK’s success as a producer and an entertaining DJ, have seen his services wanted worldwide with a list of over 20 countries employing his abilities to rock a crowd. In the UK his unique talent has meant he’s wanted by all major super clubs and festival organisers on their nights to inject a little of his special atmosphere in a way that only he can. Gatecrasher Classical, which at its heart is a classical performance by a 40 strong orchestra, will treat you to some of the biggest tunes from back in the day, expect to hear Bladerunner by Vangellis, Barber’s Adajio for Strings, a true classical piece of music, to Insomnia by Faithless & Children by Robert Miles. Gatecrasher MD Simon Raine said, “When Gatecrasher set out to produce its October 2017 Classical show at Sheffield City Hall we had no idea how well it would be received. 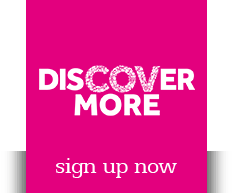 The response from clubbers and performers has been phenomenal and the Classical Show itself has now gone on to witness two more sold out shows both in Sheffield & Liverpool with hundreds of calls for us to tour the popular dance extravaganza in cities all over the UK & beyond. We are very excited to bring the event to Coventry and this beautiful venue.